Fulham are on the road for the third game in a row on Tuesday night, although the trip to Elland Road will be far cry from the notoriously difficult to access and half-empty stadiums encountered in both Wycombe and Reading, you would imagine. The test will also be one of the harder expeditions that the Whites should have to encounter this season – with a Leeds unit that performed strongly through the majority of last season’s campaign being bolstered by a number of continental reinforcements over the summer, overseen by new manager Thomas Christiansen. Leeds have strengthened well – new attacking midfielder Samu Saiz looked like the real deal against Port Vale (limitations of the Valiants aside), Ezgjan Alioski already appears to be a real livewire in the No10 shirt and Dutchman Vurnon Anita brings versatility and solid English league experience from his time at Newcastle United. Aside from wantaway left back Charlie Taylor, they haven’t lost much depth either, and with Luke Ayling a more than competent deputy on the left hand side of defence, the platform is set up for another push at the playoffs from the Yorkshire side. One concern will be whether they can hang on to Kiwi talisman Chris Wood, who was the subject of a £16 million bid from Burnley earlier in the week. Reports, however, say that Wood is quite happy at Leeds and odds are that he will start up top for the home side in the game. The last four games between these sides have finished 1-1, with both of last year’s fixtures being characterised by a late home equaliser to deny an away win to the travelling support. Leeds, despite a good start points wise to the season, have looked a little nervous against both Bolton Wanderers and Preston, and were perhaps lucky to escape with a point on Saturday. The lack of penetration against a Preston side not known for keeping clean sheets will be a concern to the home side, although bolstered by the lack of Tomas Kalas in the Fulham back line, they will expect not to draw another blank tonight. In Fulham’s case, Tomas Kalas’ record-breaking sending off against Reading will do nothing to ease Slavisa’s defensive headaches, although Denis Odoi’s assured performance at centre-half would suggest that the Belgian may get the nod alongside Tim Ream tonight. Oliver Norwood’s continued good form should see him retain a midfield berth whilst Lucas Piazon’s heroics two games on the trot should see him see off competition from a returning Floyd Ayité for one of the spots in the front three. The big question remains whether Tom Cairney will return, but we’d be surprised (no matter what Slavisa says) if he was starting in a game just three days after limping out of the warmup against Reading. If fit, Cairney probably just about gets the nod ahead of Johansen, purely based on his scoring record against Leeds. Again, Aboubakar Kamara will be desperate to start the game after a physically impressive appearance against Reading, but his ability to stretch defences late on will see him reduced to substitute appearances for the time being. 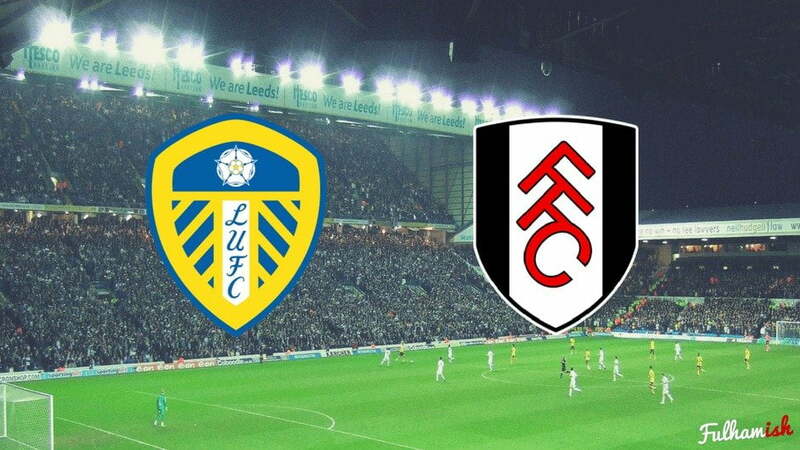 The battle of the big men will do much to decide whether the Leeds attack can penetrate a Fulham back four which already looks less shaky than last year. If Ream can mark the big Kiwi out of the contest, Fulham will have a brilliant platform from which to try and bring all three points back to Craven Cottage; and it will bolster the spirits of Cairney, Kebano and co as they try to look for a match winning moment. With Kalas out, Ream is the natural leader of the back four and if his recent form can continue, the American will be at the heart of Fulham’s promotion bit this season. There are questions over whether Wood’s head has gone with all the big money bids being thrown about, but whilst he’s yet to get on the scoresheet, his performances haven’t dropped significantly. Missing a one-on-one against Preston was unlike the big striker, but it’s exceptionally obvious that he’s a top player at this level and if he is given opportunities, he will start to take them. Fulham’s best hope remains not in the idea of Wood being off the boil, but in Ream and co keeping him quiet through their own volition. This one is tough to call, but we’re going to stick with tradition and go for a 1-1 draw, with some late drama. Three points from three doesn’t sound like a brilliant start for the Whites, but against tough opposition expected to be challenging at the top end, a point at a tough ground against an experienced Leeds unit would be a point that we would happily take. Let us know your thoughts in the comments! Don’t forget to listen to Thursday’s episode of Fulhamish for all the reaction to Saturday’s game, and make sure that you’re subscribed on one of the following platforms.